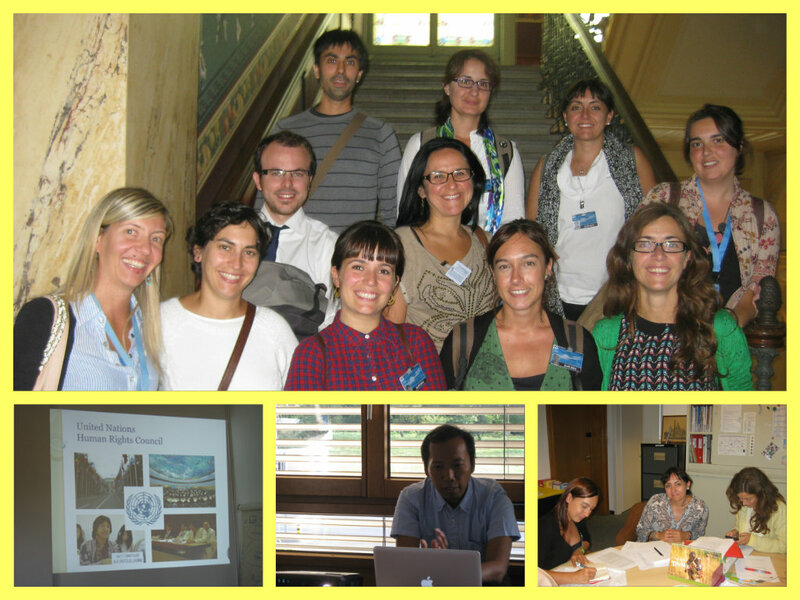 A new edition of the training session on United Nations Human Rights Mechanisms, co-organized by the International Catholic Center of Geneva (CCIG) and UNESCO ETXEA , took place from the 22nd to the 26th of September 2014 and was attended by representatives of NGOs from the Basque country. This training was the fourth in a series of training sessions starting in June 2011. In line with CCIG’s commitment for developing the expertise of NGOs in their work with the UN and improving their networking with various partners, the aim of the training was to raise awareness among local NGO representatives on the opportunities offered by the UN system for the promotion and protection of Human Rights and to assist them in envisaging concrete links with their current activities at the local level. 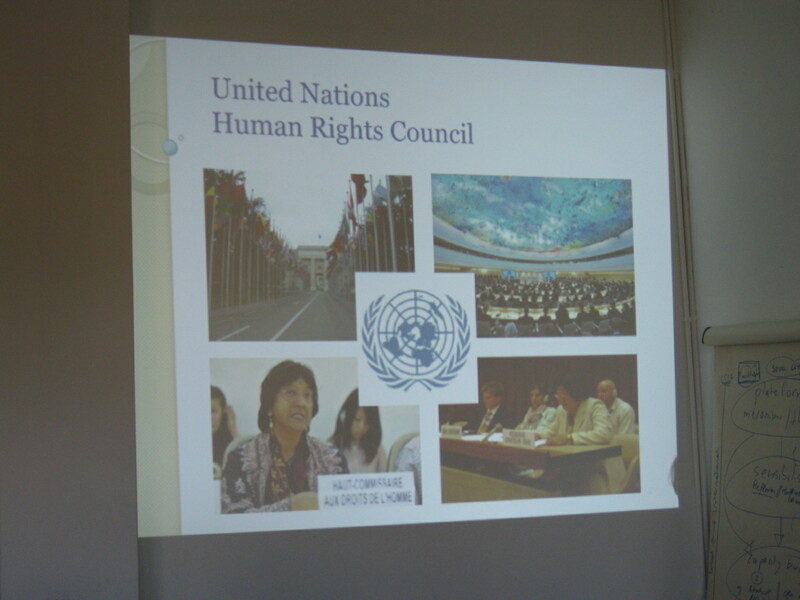 Accordingly, participants were introduced to key UN Human Rights Mechanisms through a combination of theoretical and practical approaches, which allowed the participants to benefit from presentations by keynote speakers and to attend sessions of the Human Rights Council and the Committee on the Rights of People with Disabilities. The informal exchange sessions, held at CCIG, were led by officers of the Office of the UN High Commissioner for Human Rights (OHCHR) such as Ms. Elizabeth Wabuge, Human Rights Officer – Mandate of the Special Rapporteur on the human rights of migrants, Mr. Juan Pablo Vegas, Coordinator-drafter for the Universal Periodic Review, and Ms. Asako Hattori, Human Rights and Economic and Social Issues Section; and other notable keynote speakers such as Mr. Budi Tjahjono, Advocacy Officer – Franciscans International, Mr. David Fernandez Puyana, legal counselor for the Permanent Mission of Costa Rica, and Ms. Elodie Tranchez, Legal Desk Officer – Waterlex. These interactive sessions allowed for open communication and engaging discussions as participants were encouraged to ask questions and steer the conversation towards subjects that interests them most, such as human rights and the environment, right to peace, migration issues, and the right to water and sanitation. 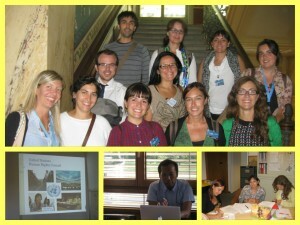 No Comments to "2014 Edition – CCIG and UNESCO Etxea’s Training Program on the UN System for Human Rights"